BabyJap of Pink Thought Bubble tagged me. I never got tagged before and I was super excited when she did! Dior Shimmer Star Highlighter in Amber Diamond (review & swatches): This is my holy grail highlighter. It gives me a nice glow & a gorgeous sheen without any glittery mess. It is truly an amazing product and the packaging is just the "icing on the cake". Dior Healthy Glow Powder Bronzer in Aurora (review & swatches): I can't stress how lovely Dior's packaging is, but besides that, the product itself is beautiful on my cheeks. The color acts both as a bronzer and blush for me. It's such a shame that it's limited edition; however, Dior's Bronze Original Tan in Healthy Tan 01 (review & swatches) is a dupe for it. Healthy Tan may not look similar to Aurora when swatched on my arms, but when I apply it on my cheeks, I can barely tell the difference between those two. I recommend checking out Healthy Tan if you can't get a hold of Aurora. 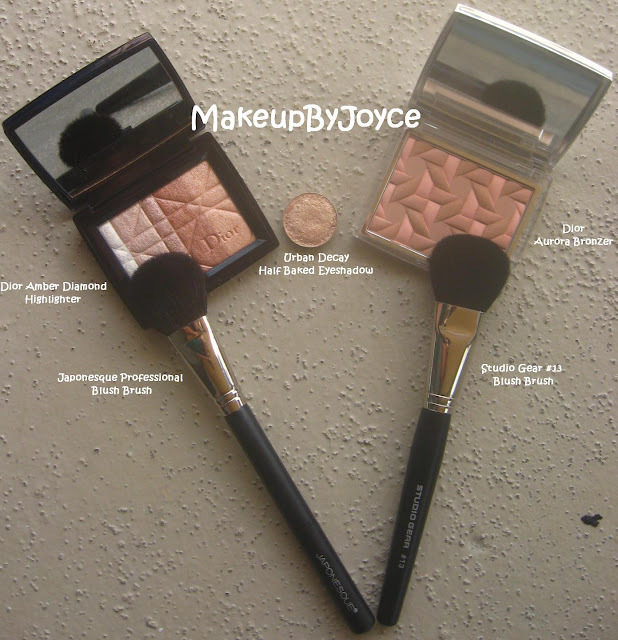 Urban Decay Half Baked Eyeshadow (swatches): I did a look here using this eyeshadow. It's my all time favorite eyeshadow. Other gold eyeshadows are too yellow, cool-toned or "dirty" looking. Half Baked is the perfect shade of gold for me and I love pairing it with browns or greens. List your Top 10 Favorite Skincare/Beauty Products. Pass this on to 10 Beauty Bloggers. *So sorry that I didn't exactly follow the rules, but I really don't have 10 favorites that I'm in love with right now. holy cow, I'm going to have to do this one huh? I didn't do July faves because of my silly monthly allowance but I'll do this tag anyways, thanks ! Excellent reviews!! :) I LOVVE Amber Diamond! That is the only Dior highlighter i own, although I really want the other one too! I swatched Rose Diamond in store and it was beautiful as well, but I don't know if I can pull it off with my yellow skintone cuz Rose Diamond is more pinkish, but it looks gorgeous in pan! I love Amber Diamond! One of my fave highlighters! I neither know much nor really care about make-up. Just wanted to leave you some reddit-love. Great favs! 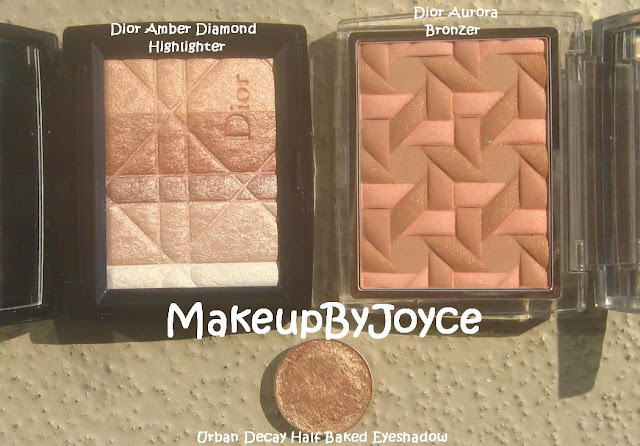 I love my Dior bronzer except I have mine in Sunset which gives a beautiful bronzed look..
And of course the infamous Amber diamond is a must!